Having cycled across the USA solo I’m often asked for advice on training for a long distance cycle and the general gist of my answer is ‘Ride your bike, ride it some more, and then ride it longer’. First and foremost you need to ensure your bike is the right size for you, so beware of borrowing your mate’s wheels if he or she only comes up to your armpit; size matters when you are buying or borrowing a bike for long distance rides and cycle holidays, so make sure it is the right size for your height. You then need to turn your attention to your specific riding position on the bike, something that sounds pretty obvious but is actually one of the most overlooked elements of preparing for long distance cycling. Get yourself to a bike fitting appointment and see it as an investment in three vital things; your comfort over long distances, preventing possible injury, and riding more efficiently. Find a good bike fitter locally that will help you get positioned correctly (running you through important shoe, insole and cleat adjustments too) and you will save yourself a great many niggles and pains. 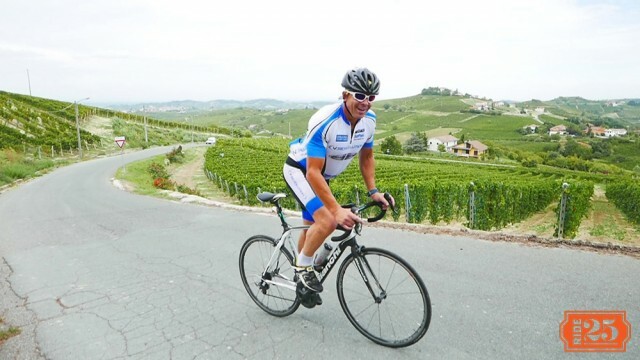 If you are in the north we would recommend the services of Paul Smith from Cyclometrics – read his recent blog about cycling and knee pain. It may be tempting to plough full steam ahead into heavy training sessions in an attempt to see results fast, but remember that all you will be doing is exposing your body to high risk of injury. If you are a daily rider (out on the road or in the gym) then aim to increase your distance by around 10% per week. If you tend to fit your training around a difficult schedule with limited time then go for a 10% increase every few weeks, but start your plan earlier to ensure you reach the 100 mile target in time for the event. Cramming big sessions last minute simply won’t get you to the fitness level you will want; that takes consistency of training with incremental increases in stamina over a period of time. Try to include one High Intensity Interval Training ride once a week to build your power. Keep a log of your improvement in time over a set distance as well as your weekly distance increases, and don’t shy away from pushing yourself a little further and faster than last week. No-one likes to plateau. By the time the event comes round you need to have trained up to rides of around 2/3 or 3/4 of the full distance. Beware of losing discipline with your training for too long when you find work and social commitments are preventing you from being consistent. We’ve all been there, done that and got the ‘falling of the wagon’ t-shirt before, but it is all about balance and happiness if you’re going to get this training nailed. You need family/social/down time in your life so don’t sacrifice that completely, but do set an achievable and solid training schedule. Some people love the early morning sessions, leaving them free in the evenings. Others mix it up during the week with some sessions in the mornings and others in the evenings. Find what works for you and commit to it. Get involved in a weekend social ride with your local cycling club too; not only will you enjoy the camaraderie and social side of it, but they will keep you motivated and raring to go. They usually have beginner, intermediate and advanced level rides; so enjoy working your way up through the levels as you improve, a kind of milestone goal. It goes without saying that you will experience strains at various times through your training plan, but make sure you listen to your body and take time to recover properly. One of the best things you can do to compliment your regular rides is take up Pilates or Yoga (read our blog on Pilates and Cycling here). Doing a class once a week will both strengthen your core and help you stretch out tight muscles. A huge part of looking after your body is ensuring you put vitamins, minerals and protein that you have depleted during long rides back into your body. You wouldn’t run a Formula One car on beer and expect it to perform, so why would you fuel your body with anything but healthy and wholesome foods? Sleep well, eat well and take rest days. Look after your body and it will look after you as you gear up for that 100 miler. As you draw closer to the event ramp up your training and start pushing out some big rides. If you are planning on leaving everything on the road for your 100-mile event or multi-day cycle tour then these last weeks are when you may want to sacrifice some of your nights out at the pub and swap them for pedalling the tarmac on your bike. Make sure your family and friends buy into what you are trying to achieve early on and get them championing and supporting you from the sidelines. It may just keep you ‘on the wagon’ too when your mates oh so kindly shoo you out the pub after hearing your plan on missing yet another morning training ride because of that tequila round you’re standing at the bar about to order (don’t worry, they’ll be buying you a fair few of those when you cross the finish line having bossed the big event you’ve signed up to). The final week/ten days is what everyone looks forward to; its time to taper your training in preparation for the big event. Reduce the volume and intensity of your sessions, but don’t stop altogether. Do a few HIIT sessions on the bike to keep your body ready to go. Use the extra time to prep your bike, gadgets, fuel and clothing. 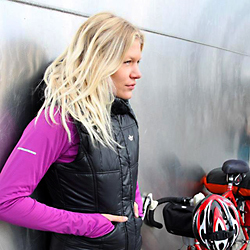 In the next blog we’ll be exploring what should be on your gear list for a long distance ride, come rain or shine. Interesting article with some useful tips and points of reference. It’s also worth including that the training rides should include the rider experimenting with different energy foods and drinks to see what works for them as an individual. The frequency of food and fluid intake will depend on the individual as well as terrain and weather conditions. I try to train to determine how long I can ride at a certain pace without taking on fuel and determine when and how to refuel for longer distances. I’d be interested in your view Ness on how you kept yourself fuelled on your rides. Thanks for the article which I have shared with some of our clubs newer riders who are looking to up their mileage. For the 1st timers, once your body has become comfortable with riding for a couple of hours and then being able to recover with 48 hours ready for another session then you reach a key milestone. Building up to riding comfortably for a couple of hours takes time and you should not rush, an incremental steady build up week on week is the optimum way to achieving your goals. Nutrition and hydration is critical – there are several web sites you can search for guidance. The 2 hour threshold is equivalent to 30 to 35 miles for the average non-racer. I would advocate building up by adding 5 miles per week to your longest ride and getting out on the saddle up to 5 times per week. In the early days a couple of rest days should be equally considered training days. Once you get to 50 miles. Try stepping up to 60 and then 75 miles. At this point you are ready for the big event itself. Your biggest challenge as you progress is not physical fitness but the mental one, convincing yourself you can go those extra few miles on a slightly bigger loop. You will surprise yourself with your capability and resilience. Prior to riding from Leeds to Paris over 5-days my longest ride was Holyhead North Wales to Manchester – a distance of 140 miles over 2 days. Having accomplished this I felt the confidence to push on with a 5-day, 80/90 miles event. What an experience, astonishing and emotional crossing the finish line.